Since her emergence onto the pop culture radar a few years ago, GOLDIE has cut large swaths though the fields of musical accomplishments; exemplifying a special conception of musical heroine who can say or show anything while providing a view of the bold, confrontational and liberated woman. Colourful and cerebral, GOLDIE’s musical strength and depth, sensuality and serenity have appropriated her as the high water mark that other female singers have to live up to. Add to that mix the fact that the multiple awards-winning singer has created a smouldering, public personal that borders on the eccentric and eclectic, otherwise creative and precise, but engaging enough to keep you talking about her. 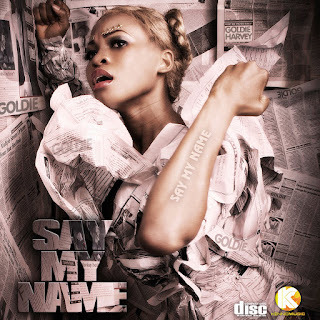 Despite the mixed reactions to her musical style and outré outlook, GOLDIE has fitted perfectly into the role of Nigeria’s most consistent female performer of the moment. she released her debut album, GOLD, which given Nigerians’ apathy towards pop music, has been a critical success. The album exudes the audacity and flamboyance of GOLDIE, and has spewed a couple of provocative, smart, and infectious videos; You Know It, JawoJawo and DTMB (Don’t Touch My Body) The 3 songs are now certified street anthems with increasing followership. A good music video is just one of the many ways to do this.” Little wonder, the video for ‘You Know it’ won the best female video at the 2010 SoundCity Music Video Awards and also picked the award for best use of costume at the Nigerian Music Video Awards; while DTMB picked up best Afro Pop video at the 2011 Nmva’s. GOLDIE is an ambassador of Project Alert, a world renowned not for profit organisation aimed at advocating Zero tolerance to all forms of violence against women and young girls. This rare honour was bestowed upon her after the president of the organisation saw all the charity works she had been doing on her own. GOLDIE has so far in the past year nabbed a total of ten (10 awards) including Exquisite Lady of the year (ELOY) Best Female Artiste award and City People Best Female Artiste of the year... She has also been inducted as a Federal Celebrity Special Marshal alongside other notable Nigerian Celebrities. "SAY MY NAME" is another new single from GOLDIE been produced by Mastercraft.